Thank you to GeoSmart USA for providing me with products to facilitate my blog review. All opinions are 100% my own. 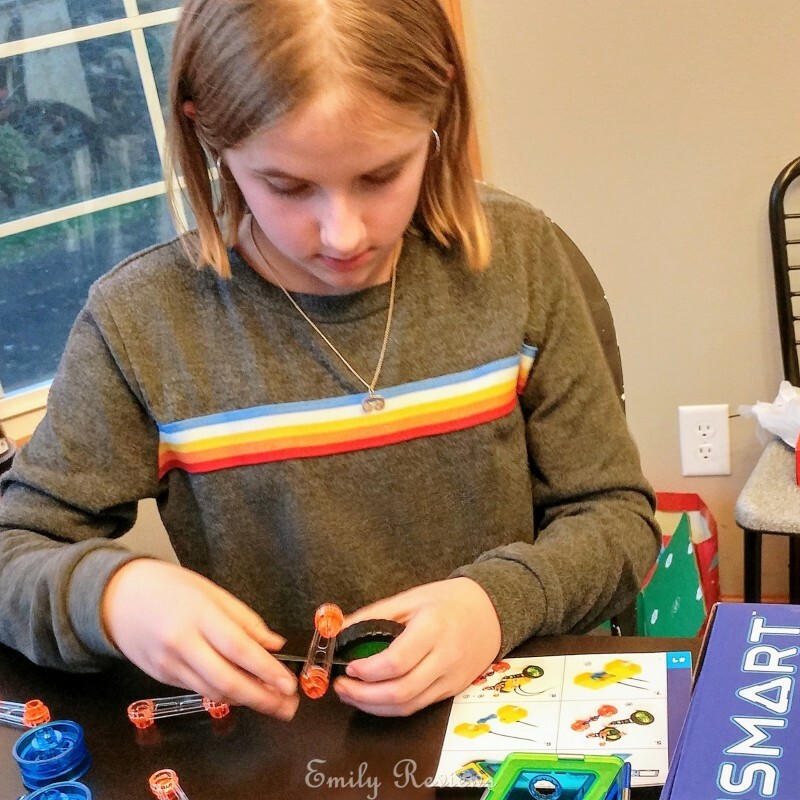 GeoSmart specializes in STEM-Focused Magnetic Building Kits. Each kit comes with building guides and all the supplies needed to complete the construction project. GeoSmart takes your kids safety to heart. They created a patented double-locking magnet system for ultimate safety. This means that the magnets are securely attached inside the construction pieces. 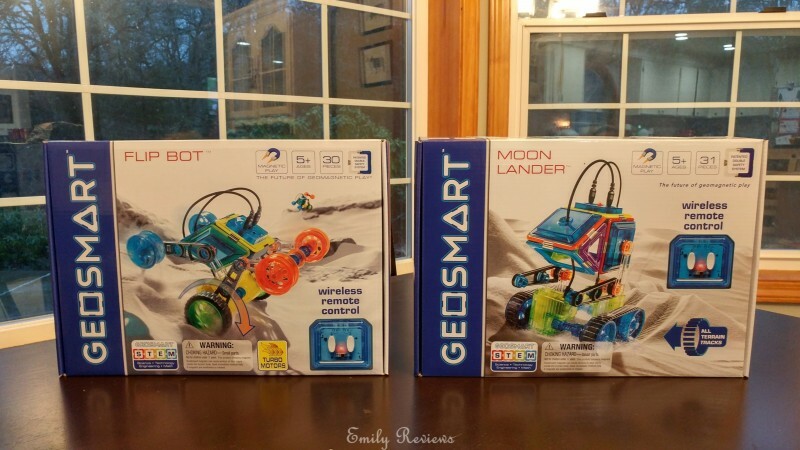 For our review, we received The GeoSmart Flip Bot and Moon Lander kits. Both of these kits come with thirty pieces including remote controls. Construction of the kits was fairly simple and straightforward. Illustrated instructions are included in each kit. Both of my daughters (nine and almost twelve years old) were able to build their kits with just a little help from dad. Flip Bot and Moon Lander are able to move with directions from the wireless remote controls. The girls enjoyed playing with their vehicles together. They set up obstacle courses and raced through them. Points were given for speed and best performance. What I love most about GeoSmart is that the kits help kids build skills in logical thinking and problem-solving. Kids build these skills while facing fun challenges. They don’t even realize they are working on building vital skills! Isn’t that great! 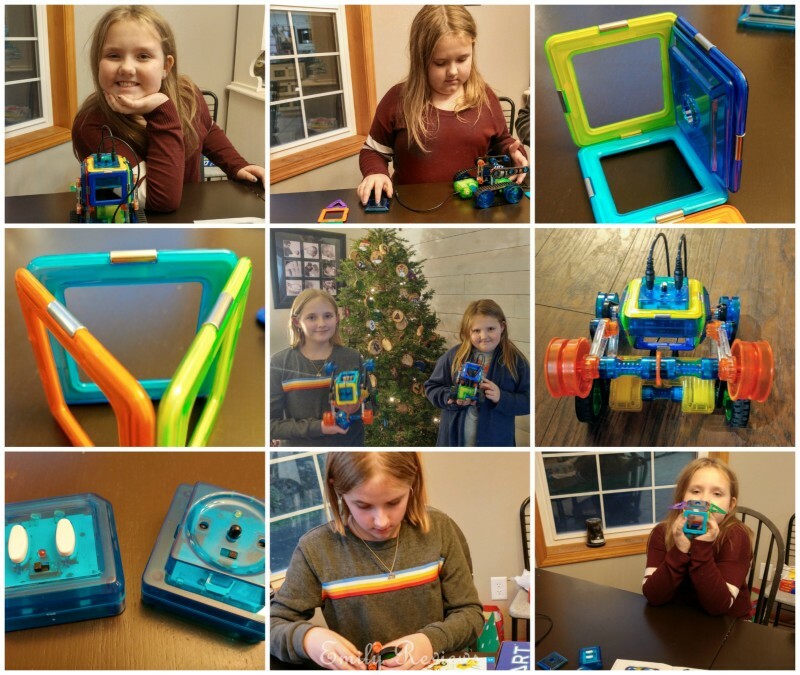 In addition to building the designed product on each GeoSmart kit, kids are encouraged to think outside the box to see what else they come up with. GeoSmart has multiple building sets for you to choose from. Collect multiple sets to construct an even bigger creation. GeoSmart kits are suitable for kids ages five years and older. Buy It: Please visit the GeoSmart website to see the great selection of products they offer and convenient shopping locations. Connect: Don’t forget to follow GeoSmart on Facebook, Twitter, and Pinterest for the latest product announcements and special offers. I love the STEM (science, technology, engineering and mathematics) concept. I believe more girls should pursue these fields. These look really neat and I know it’s something my son would enjoy! These are amazing learning toys. I would love to give this to my friend’s girls.